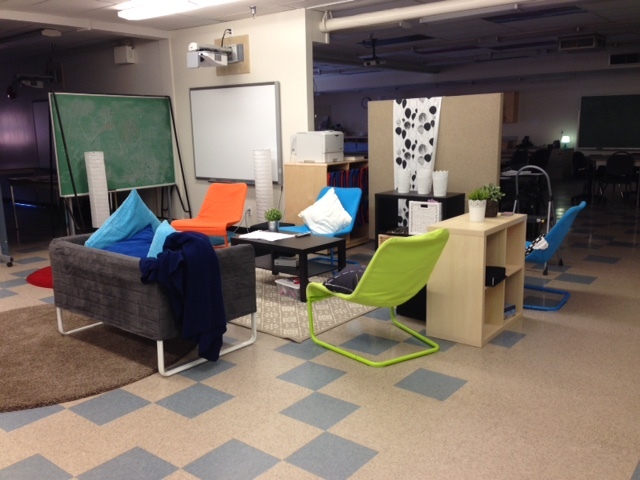 It is important to us to create a space that allows students to self regulate and find a spot that works best for them to learn in. This might be a traditional table and chair, or maybe it might be a bouncy chair, or a soft rug, or even a bean bag. We have added blankets and different textured fabrics for students to choose from. We make use of rolling walls and sliding chalkboards to create a movable space that is open to collaboration. 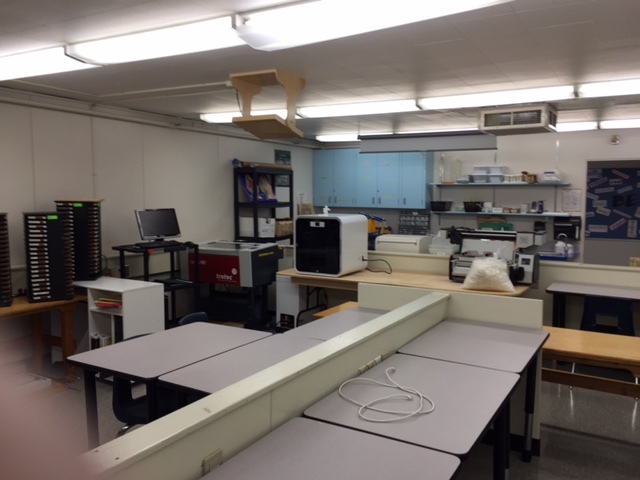 We can create a large learning space or move in walls and rolling whiteboards and dividers to create small nooks for group work. There are different functional learning areas. 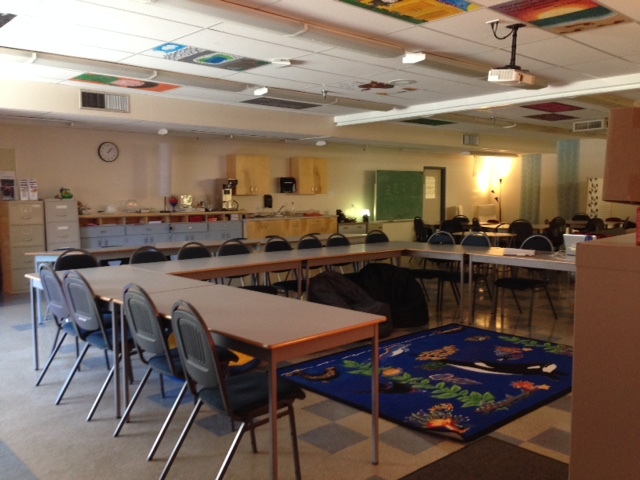 We have a space set up for lecturing, where students sit facing the teacher. We have an area with tables that can be moved apart and together depending on the size of the group. We have a media viewing area, where students can showcase their work on the big screen. 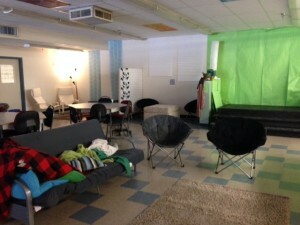 There is also created a green screen space where students are free to use to record and document their learning. 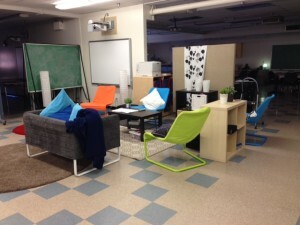 The students have really taken to this space and love to be there.